Welcome to the Children's Department! We offer a variety of materials, programs and services for children birth through Sixth Grade, parents, teachers and others who work with children. Staff members are happy to help you find whatever you need. 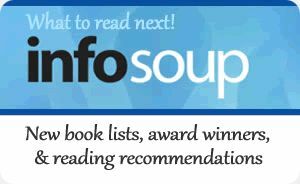 Ask us for suggestions of good books to read on a variety of levels and interests. Visit us in the lower level of the library! Race by Reading - 2019 IditaREAD! The IditaREAD follows the famous Alaskan dog sled race, The Iditarod. The race starts on Saturday, March 2, 2019, and can take 8-20 days depending on the weather. There are 1049 miles in the Iditarod race from Anchorage to Nome, AK. Do you think your family/team can work together to read 1049 minutes or pages before your opposing dog sled team finished the race? Register now and start logging your reading on Saturday, March 2nd. Registration form and log sheet along with musher list is attached. Registration form and how to play. Join Us for Preschool Story Time! Preschool Story Time is held on Thursdays and Fridays in the Children's Program Room (lower level) at 10:30 am. This 45-minute session for preschoolers and their caregivers includes stories, songs, fingerplays, and literacy activities. No registration is necessary. Saturday Story Time is offered the first Saturday of the month (October-December & February-April) at 10:30 am. All are welcome! Join us for a sensory-friendly morning of hands-on exploration and discovery. We understand that some children may have specific sensory processing needs. There will be tactile opportunities and sensory tools to help ensure an enjoyable experience for everyone. No registration is necessary, however, we do ask that children attend with a caregiver. All are welcome. Program is September-May. For very young children with caregiver. Share 20 minutes of stories, nursery rhymes, songs and bounces. Each session ends in a free play period. No registration necessary. See the Calendar for complete schedule. All are welcome to drop in and create a pocket for your poem. We will have sewing machines and materials available. Simple sewing for the little ones and craft ideas for the non-sewers. We are here to help you learn and share some poetry. Help your youngsters learn family and community history in this new library program in partnership with the Waupaca Area Genealogical Society. Share family history and photographs. Suitable for school-aged children with adult caregiver. No registration necessary. March 23 - Making a family timeline, learn about what questions to ask and who to ask to write your family story. Take a walking tour to the Dane's Home to learn more of Waupaca's Danish heritage. April 27 - Stroll through Waupaca's graveyard and find out what you can learn from a tombstone, take a family scavenger hunt, take a rubbing from a headstone and design one of your own. Waupaca Now Has FOUR StoryWalks! The reading while hiking season has begun and the Waupaca Area Public Library his happy to announce that we have four StoryWalks to choose from. All are on Waupaca's beautiful River Ridge Trail. For the hike near Sunny Day Child Care, park near Sunny Day on Godfrey Drive and walk down the path that leads betweeen the daycare and the clinic. Swan Park's StoryWalk starts to the south of the sledding hill. A Story Walk is on the nature trail along the Waupaca River behind the Waupaca Learning Center. It's best to park on the north end of the school and start on the trail that starts just past the rain garden. The newest Story Walk is on the nature trail behind the Chain O'Lakes Elementary School. Watch for signs leading the way. Thanks to Waupaca Park & Rec Dept.,Sunny Day, and the Waupaca School District for their partnership on this adventure. See attachments for maps of some Story Walks. InfoSoup has a subscription to TumbleBookLibrary, an online collection of e-books for children. 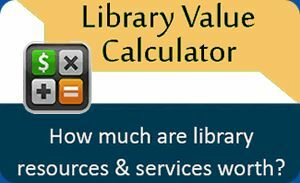 You can access it from home, for free using your library card number and PIN. There are over 250 animated, talking picture books! The site also features Spanish and French books, read-along chapter books, non-fiction books, and exciting games and puzzles! You can use your computer, tablet, or mobile phone! All you need is an internet connection. There are no downloads: books are streamed right to your device at the click of a button. This free program encourages you to read 1,000 books with your child before he or she enters school – a goal experts say helps children learn to read. Reading together helps develop important pre-reading skills that provide a solid foundation to school and learning success. Plus, sharing stories together is fun! Click here for more information, or to download the free mobile app.